The Lincoln Stars will get back on the bus and hit the road this weekend for two games away from the comfy confines of the IceBox. 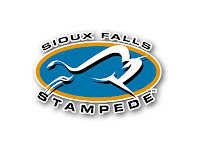 On Friday 11/25, the Stars will take on the Stampede in Sioux Falls, SD. Faceoff for the Friday night game will be at 7:05pm CST. 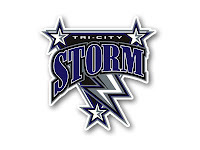 On Saturday 11/26, the Stars will trek west to Kearney, NE to battle the Tri-City Storm. Faceoff for the game in Kearney will also be at 7:05pm. Lincoln enters this weekend with a record of 10-5-1 (21 points), and are tied for first place in the USHL Western Conference with the Waterloo Blackhawks. The B'hawks, who are riding a five-game winning streak, also have an identical record of 10-5-1. Click here to see the USHL standings. If you are unable to attend any of the two games this weekend, you can follow the boxscores online via Pointstreak, listen to Stars radio announcer Mike Melbye on KLMS 1480 AM, or watch the game on FASTHockey for a fee. 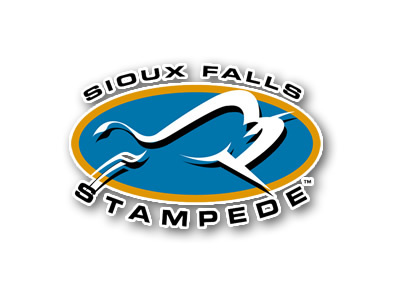 First up for the Stars will be the Sioux Falls Stampede (7-5-1, 15 points, fourth place in the USHL Western Conference). This will be the fourth time this season these two teams will play each other. In their previous three head-to-head battles, the Stars are 2-1-0, with the only loss occurring in Sioux Falls on 10/21/11. Exactly two weeks ago on 11/11/11 at the IceBox, the Stars beat the Stampede by a score of 3-2. When these two teams face each other, the games are close and low scoring. I don't expect that to change on Friday night in Sioux Falls. Both teams have two of the better goaltenders in the western conference in Stephon Williams (SF), and Jackson Teichroeb. The Stampede come into the game against Lincoln on a bit of a hot streak, having won three in a row. In fact, the Stampede have not lost a game since falling to the Stars in Lincoln on 11/11/11. On Saturday, the Stars will take on a familiar foe in the Tri-City Storm (5-11-0, 10 points, tied for last place in the USHL Western Conference). This will be the third time the Storm and Stars have faced each other this season. The Stars are 1-0-1 in the two games they've played against the Storm this season. 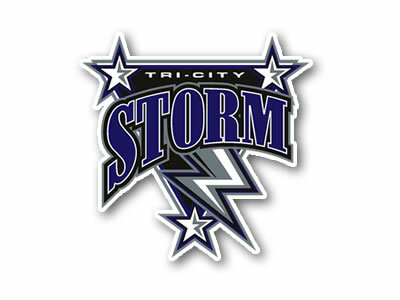 These two teams just met earlier this week on Wednesday, November 23rd when the Storm beat the Stars in an overtime shootout by a score of 3-2. Despite the Storm's dismal record, they are on a two-game winning streak entering the weekend games, and have played the Stars very tough this season. Lincoln had to mount a furious comeback on 11/13/11 to beat the Storm in Kearney by a score of 6-5. In that particular game, the Stars scored three unanswered goals very late in the period to earn the miraculous come from behind win. Running out of time today to get this weekend preview up, so I apologize for the briefness. We will not be doing a live chat for the Stars-Stampede game tonight, but we should have a live chat going for the Stars-Storm game on Saturday night.